KSB Pumps and Valves has released its highly efficient range of Amarex KRT submersible motor pumps for handling municipal and industrial waste water in an effective and cost effective manner. 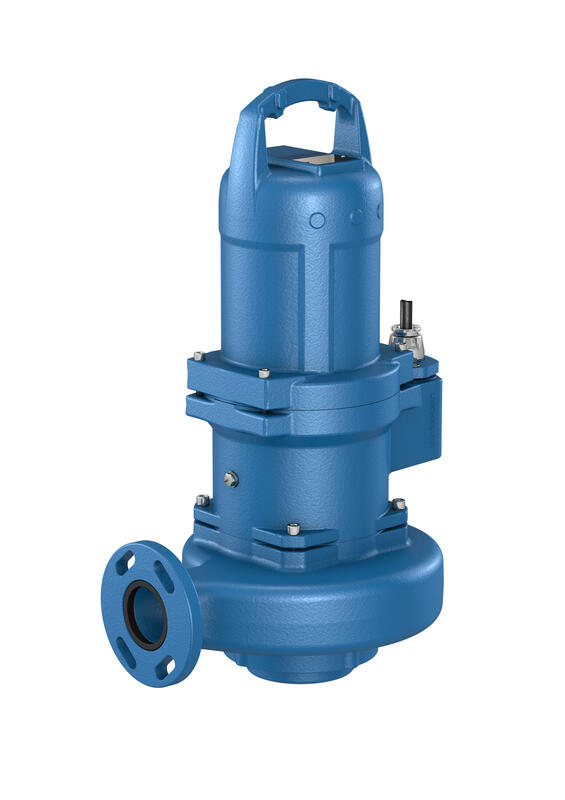 Taking their cue from previous models, KSB engineers have further improved the operating reliability and hydraulic efficiency to squeeze more out of the pump. By focusing on the typical operating ranges of waste water pumping stations the developers have adjusted the impellers’ free passages to not only comply with the applicable standard, but also to allow the pumps to offer as broad a range of applications as possible. Available with four different improved impeller types, the submersible motor pumps can achieve a maximum flow rate of 10,080 m³ per hour and a head of 120 m. With 850 kW of power on tap, it offers the highest standard motor power available on the market today. Despite this, KSB electric drives for these modern submersible motor pumps are ultra-efficient. Depending on a system’s load profile, users can choose a highly efficient motor variant which corresponds to the IE3 efficiency level for standardised motors in accordance with the IEC-60034-30 standard. Such motors are particularly interesting for powerful pumps with a high start-up frequency. Two bi-directional mechanical seals reliably protect the motor space against ingress of water. A chamber filled with environmentally friendly oil ensures cooling and lubrication of the mechanical seals even when gas-laden fluids have to be pumped. Generously dimensioned ball bearings sealed for life support the stainless steel shaft with a special focus also being placed on the design of the cable gland. Individual conductors stripped, tinned and sealed in resin ensure that the cable gland is absolutely watertight even in the event of damage to the cable sheath or the insulation. This also effectively protects the pump from short circuits. To ensure that the pumps can be easily dismantled even after years of operation under tough conditions, all wetted screwed connections are made of stainless steel. For transporting acid waste water, too, KSB also supplies pumps made from high-grade stainless and acid-resistant duplex steel.